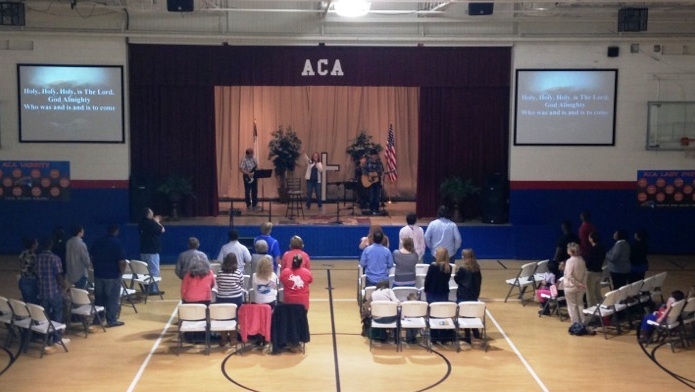 Come and worship with us each Sunday morning at 10:30 in the gym at American Christian Academy. The address is 2300 Veteran's Memorial Parkway (also known as 15th Street). After meeting for 4 1/2 years in Parkview Center, we began meeting at ACA on April 25, 2010. Our Worship Celebration takes place in the gym each Sunday morning at 10:30, with plenty of room to GROW! Pastor Rob is currently preaching a series of messages entitled The Early Life of Paul. This will take us well-into 2018. Make plans to come and hear solid preaching of God's Word - without compromise! American Christian Academy is located just up 15th Street from Home Depot, on the opposite side of the road. It includes a time of contemporary praise & worship, and scriptural teaching by Pastor Rob. Children have biblical programming in Kid's Worship, and Students are given lots of activities and opportunities each week to enhance their walk with Christ! Our Core Values include: Solid Biblical teaching and preaching, active Small Groups, diverse Ministry Teams, quality ministries to Children, Youth, College, Men, and Women, plus contemporary worship, and casual dress. In everything we do, we have a TEAM approach to ministry! Our Purpose Statement: We desire to be a family of believers, whose basis is the Word of God, and whose purpose is to know Christ and to make Him known.